The Alternative Business School is a project devised by our client Purple Monster. 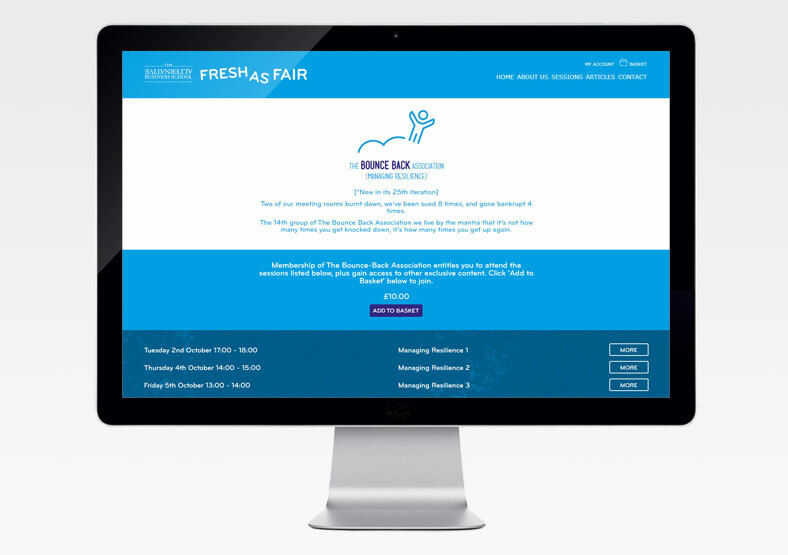 To coincide with the start of the 2018 academic year, we developed a website for the Alternative Business School's Freshers' Fair - re-named "Fresh As Fair"! This was a week of virtual sessions, grouped into "societies", just like a real university Freshers' Fair. Attendees could use the website to browse the societies, join up, pay online for membership, and then choose which sessions to book. It was then simple for students to take part in the sessions via a link on the website. This first Fresh As Fair had over 200 attendees. The sessions were hosted on Zoom - similar to Skype - so all attendees could screen share and attend the sessions without having to leave the office.